The need for facility maintenance varies according to business, industry and the amount of foot traffic experienced on a daily basis. Since no facility is exactly like the next, our commercial mats are designed to fit individual needs. The specialty floor mat options were created with specific purposes in mind. 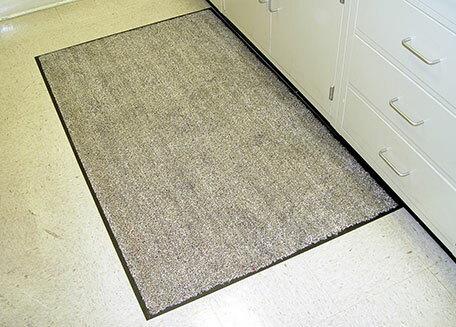 Our cotton floor mats are oil and grease resistant, can soak up contaminants and are constructed with cotton yarn. They have a 100 percent nitrile rubber backing that creates a superior border and a slip resistant shield. Due to the specific benefits cotton mats possess, there are certain industries and places that can benefit the most from them. See below a few of the areas we’ve chosen. Many hospitals have areas around their facilities where spills are likely to occur. This can especially be true in labs where employees need to examine and process different materials. 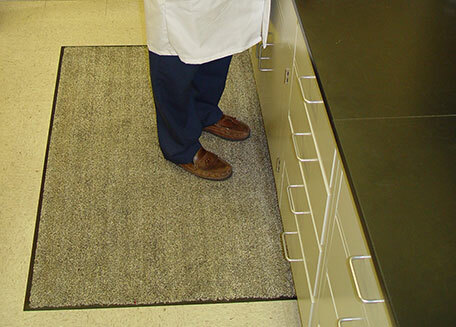 Since many of the substances they are handling can be hazardous or contain oils, cotton floor mats can be perfect for this type of environment. Not only will the mats provide a comfortable spot for employees to stand for long periods of time, they will also ensure a no-slip grip on the bottom of their shoes. If a spill were to take place, the resistant fibers will allow for an easy and hassle-free cleanup. Another positive about these mats is that they are launderable so stubborn stains can be eliminated. 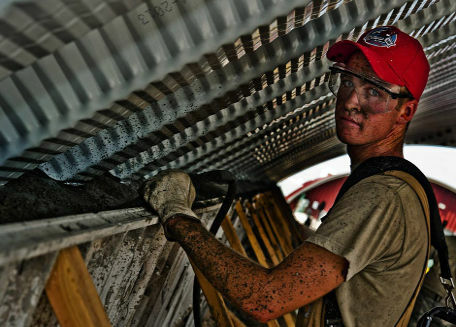 Facilities that deal with any kind of machinery or equipment can become messy over time. This is because any kind of machinery runs the risk of leaking oil or leaving grease marks behind. In areas where this is prone to occur, cotton mats can perform double duty. They will be resistant to these types of stains but will also provide a safe place for employees to wipe their dirty feet. When employees have oily substances on the bottom of their shoes they risk the chance of a slip and fall. Cotton mats will provide a clean place to wipe shoes all while being stain resistant and keeping employees safe. No matter what industry your facility may fall under, it’s never too late to protect employees and customers. Placing cotton floor mats in entryways of buildings can help ensure facility maintenance and safeguard against accidents. When floor mats are able to resist oil and grease, everyone will benefit. Your facility floors will be cleaner because materials from the bottom of shoes will be secured to the mat instead of being dragged around your facility. Since they are launderable, cotton mats will remain durable for long periods of time and keep your entryways protected. Interested in learning more about cotton floor mats or our other specialty mat options?